This is pretty simple: You want a raise? Get a new job. If you want a raise, change careers. In a post out Tuesday morning, the Atlanta Fed reveals that its wage growth tracker indicates the median wage increase for someone changing jobs hit 4.3% in May, the highest reading since December 2007. Those in the same job have seen a median wage increase of 3%. 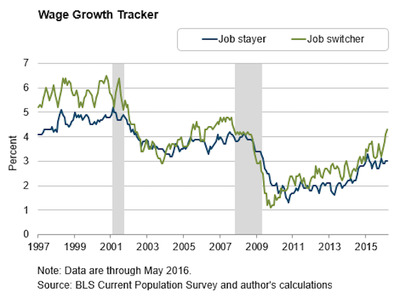 Job stayers are with the same employer or industry as a year ago and with the same employer in each of the last three months. 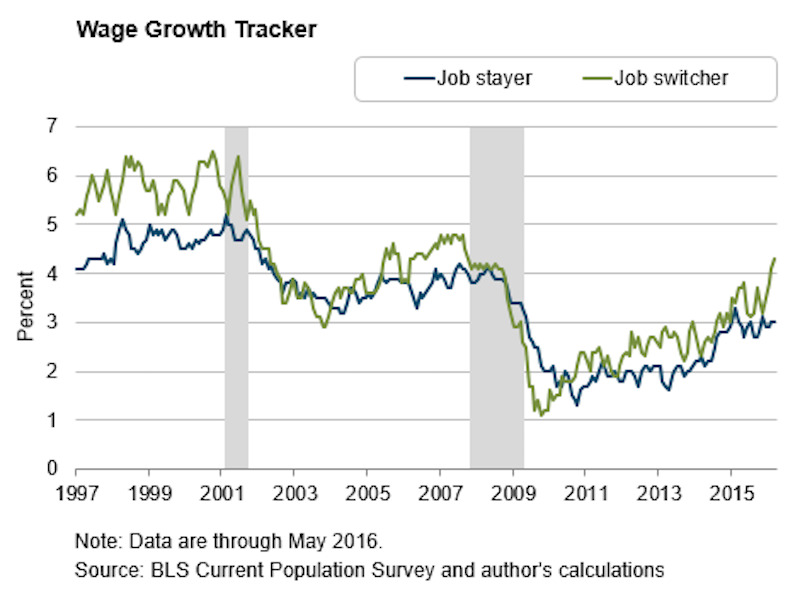 Job switchers are everybody else. In recent months we’ve noted that job opening are at a record, the quits rate is steady, and while payroll rains have slowed the unemployment rate is down and wages are up. The labour market, in other words, is tight and workers are in control.